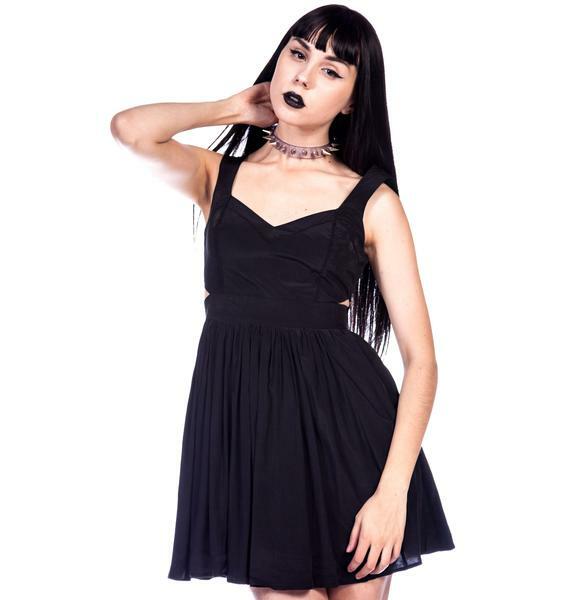 Keepsake Love Train Dress is the perfect LBD. Featuring side cutouts for that extra flash of skin. 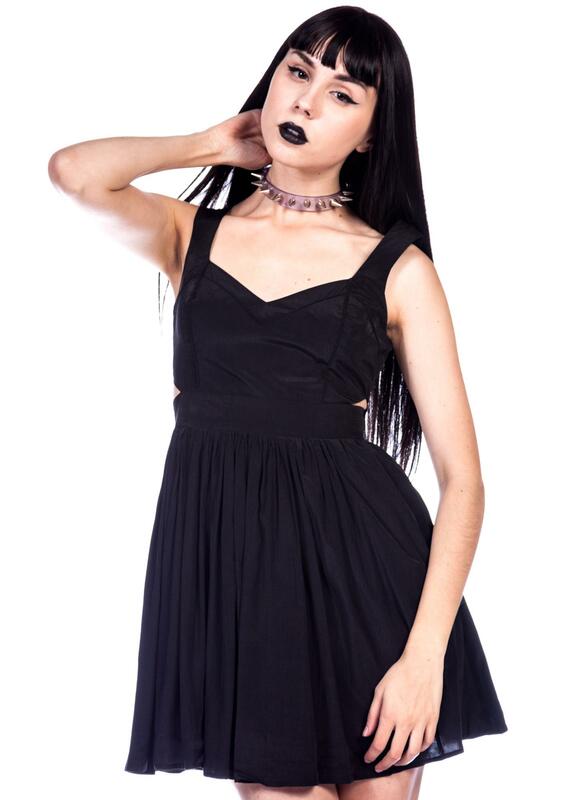 With a classic sweetheart neckline, this dress balances badass and sweetness. Front seams on the bust that make it look like a bustier crop top. Defined waist with pleats at the top of the skirt for extra volume. Zipper in the back so you can get in and out. Finish off with knuckle rings and a spiked clutch bag.